You will be hard-pressed to find a modern residential space that doesn’t take advantage of sliding glass doors. When it comes to choosing door lock types to complement your doors, homeowners have a wide array of options to choose from. Some of the best front door locks are used with solid core doors, which makes it easy to overlook sliding glass door locks. Sliding glass doors are usually paired with sliding glass door locks. It is always important to make sure you don’t use the wrong lock, as this will leave your security vulnerable while simultaneously running up your budget. A generic sliding glass door lock provides minimal amounts of security to sliding glass doors, which means there are always ways for a sliding glass door lock to be improved. However, seeking to improve your sliding glass door locks does not mean you need to break the bank. After all, who doesn’t like to save money and stay safe? Before we begin to explore some of the cost-effective ways to secure a sliding glass door lock, let us briefly discuss the inherent weaknesses of sliding glass doors and sliding glass door locks. Keep in mind that the weaknesses of a sliding glass door lock are inextricably linked with that of the sliding glass door. The most prevalent weakness is the construction of the sliding glass door lock itself, followed up by the flaws of the primary material used in constructing sliding glass doors. The weaknesses of a sliding glass door lock stem from the lock itself and the auxiliary elements that surround it. The Sliding Glass Door Lock Mechanism – The sliding glass door lock is the focal point of this discussion, but it is also one of the weakest elements on the board and the one that is most prone to being targeted by burglars. A sliding glass door lock is used to keep sliding glass doors secure by barring access. 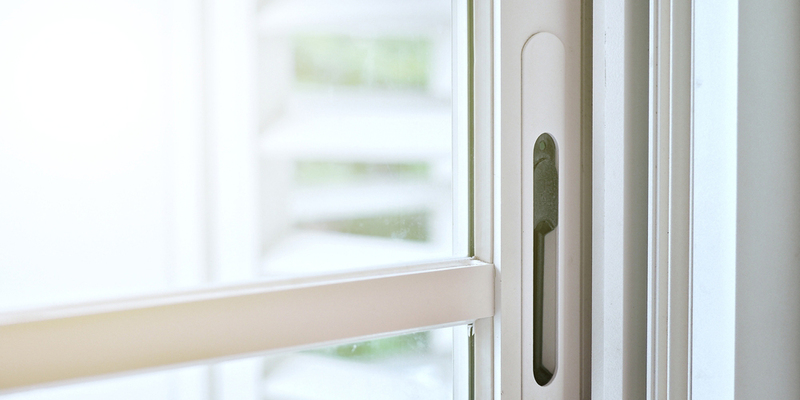 Most sliding glass door locks are simple latch locks that provide very minimal security. This means that they can easily be thwarted by lock picking, lock bumping and other lock bypass methods. Also, many of these simple latch locks are not built to withstand as much force as deadbolt locks. Essentially, this means that burglars can easily break or dismantle your locks by simply applying enough pressure until your sliding glass door lock gives way. The Presence of Glass – In order to understand the weaknesses of the sliding glass door lock, you have to look beyond the lock itself. As I pointed out earlier, glass presents homeowners with a unique set of flaws. If it is not properly accounted for, glass can be the Achilles’ heel of your sliding glass door lock. The presence of unsecured glass can leave you vulnerable on two fronts. First, it often gives burglars an unencumbered view into your home. In addition to that, glass shatters easily. This means that burglars will likely make easy work of your sliding glass door in order to gain access to your sliding glass door lock. Installing the world’s most secure lock on your sliding glass door will mean very little if a burglar is able to gain easy access to your lock. If your glass is compromised, your sliding glass door locks will be rendered ineffective. Sliding Glass Doors are Obscured from View – There is nothing burglars love more than being able to work without being seen. In a sense, you could say this is the reason why they love sliding glass doors. Although sliding glass doors are often used as secondary egress and ingress points to a home, they are not given the same visibility as main entry doors. This means that in the grand scheme of things, they are usually out of sight. This allows burglars to work on bypassing your sliding glass door locks without being seen. To add insult to injury, there are usually no measures in place to notify a homeowner that their sliding glass door lock is being attacked. When it comes to security, time and visibility are of the essence. This means that the faster you are in catching wind of something going awry, the faster you can rectify it and work to prevent it. As mentioned above, sliding glass doors are often equipped with simple latch locks that are not exactly security oriented. The cost of changing door locks is not always a cheap affair, but the final cost is always dependent on the type of service needed and the type of lock installed. You should be aware that a sliding glass door lock is the first line of defense for your sliding glass doors, as such, they need to be up to par. 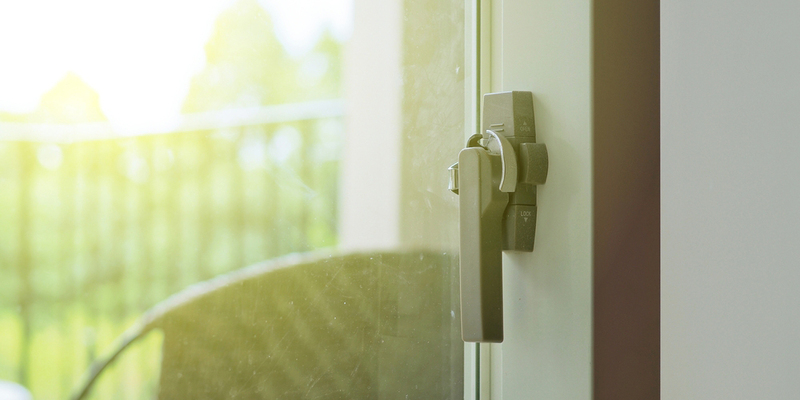 In lieu of simple latch locks, homeowners can contact a residential locksmith and put in a request to change sliding glass door locks or request a new lock installation. In lieu of this, there are also some unconventional ways to secure sliding glass door locks that can be used. For instance, placing a Schlage high security chain inside the tracks of your sliding glass door frame helps keep the door more secure and bolsters the security of your sliding glass door locks. Another simple method involves using security chains, like the Schlage high security chain, in conjunction with your sliding glass door locks. If Schlage sounds familiar, it is because they are one of the most trusted door lock brands. The idea here is to make your sliding glass door lock as inaccessible as possible. Implementing a security chain makes it harder for the door lock to be bypassed and makes the sliding door lock resistant to cutting and sawing attacks. Also, homeowners can opt to keep their simple sliding glass door lock in place, and simply install an additional auxiliary lock. Adding another lock gives homeowners the freedom to choose a more secure lock that doesn’t necessarily put a dent in your budget. Homeowners can decide to install a secure deadbolt on their sliding glass door (if the door frame allows for one), or you can install sliding door loop locks that make it even harder for your sliding glass door lock to be bypassed. It is crucial that you choose an auxiliary lock that complements the one you have in place and that actively makes your sliding glass door lock harder to bypass. As I pointed out earlier on, there are some indirect methods that are much more cost-effective than tackling the lock head on. As many of our faithful readers know, security is all about layers, and that is the focus of this next cost-effective measure. One of the best ways to implement effective security layers is to occasionally conduct a home security assessment, but I digress. By working to fortify the glass around the sliding glass door lock, you make the lock itself much more secure. Fortifying the glass on your sliding glass doors is meant to minimize the effect of two things. First, it helps minimize the visibility that people outside your home are afforded. Second, fortifying the glass minimizes the fragility of your sliding glass doors. The most cost-effective way to achieve this is by purchasing and applying sheets of glass security film. Glass security film, can be bought for cheap, and there are usually no installation costs that have to be accounted for. The benefit of these cost-effective security films is that they tend to absorb the impact of break-in attempts, while simultaneously preventing glass from shattering. Essentially this means that if your locks are able to hold up against burglars, they cannot be accessed by someone breaking through the glass. In lieu of doing this, homeowners can replace their sliding glass doors with impact resistant sliding glass doors. This is a much more costly process that helps you achieve the same results. The average cost of impact resistant sliding glass doors is upwards of $600, whereas glass security film can be acquired for under $50. Motion sensor alarms tackle the vulnerability of obscurity, and they seek to keep homeowners aware of how their sliding glass door locks are holding up. I know that some readers are questioning the inclusion of motion sensor alarms on this cost-effective list, but I assure you that alarms are not as expensive as they once were. Do not get me wrong, installing a high security alarm system is worth a pretty penny, but you can achieve the same results without emptying out your life savings. If these alarms are installed in the proper locations, they ensure that there is always a secondary security measure in place to back up your sliding glass door locks. Now, this is a more passive measure so some people might be quick to dismiss it or to say that it does not help secure your sliding glass door lock. However, I beg to differ on that front. If homeowners can be alerted more expediently, I believe that sliding glass door locks will be kept more secure. 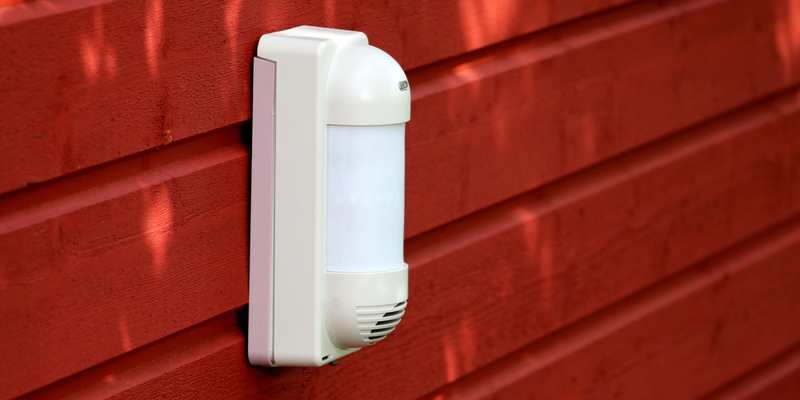 Furthermore, if you choose a motion sensor alarm that auditory or visual features, you will scare off burglars who do not want to attract attention to themselves. I believe that monitored alarm systems are cost-effective. After all, we are in 2018 and accessible technology is all around us. Homeowners are no longer obliged to invest in a full on monitored security system to reap the benefits of motion sensor alarms. Instead they can acquire the parts they need, a la carte, without having to pay any hefty subscription or installation fees. These alarms should be placed in close proximity to your sliding glass doors and sliding glass door locks. A perfect example of an affordable security alarm is the Doberman security alarm. Similar to the motion sensor alarms discussed above, DIY surveillance cameras are great tools that can assist homeowners who do not have the benefit of a large budget. Many of these easy to set-up security cameras are affordable and dependable, which means they are a great auxiliary security measure that can be paired with your sliding glass door lock. Utilising a surveillance system is meant to achieve the same goal as using a monitored security alarm. Essentially it gives you a way to monitor your sliding glass door to see how your locks are holding up. It gives you the advantage of being able to react in a timely manner whenever you see anything out of the ordinary. As far as security measures go, alarms, sensors and surveillance systems are all rather passive. Simply because they are not actively deterring any crime from being committed, but they are integral at documenting the crime and alerting you to the fact that one is being committed. Having measures like this in place help increase the security of your sliding glass door lock because there are layers of support behind it. Since sliding glass door locks often lead from the exterior to the interior of a home, it is best to install a surveillance camera that can cope with harsh exterior elements. The beauty of sliding glass doors lies in their aesthetic, and a huge part of this aesthetic is dependent on the glass. This allows natural light to flow into homes and it allows many homeowners to have scenic views of their property whenever they please. However, these benefits also double as disadvantages when they are exploited by burglars to gain the upper hand against homeowners. The glass that is most often used with sliding doors gives burglars the ability to freely peer into people’s homes and this puts them at risk. This also gives burglars a chance to undermine your sliding glass door locks without having anything standing in their way. The reason behind this is simple, if a burglar is able to clearly see what kind of sliding glass door lock you are using, they can adequately plan to thwart it. Some burglars case homes before they attack, so it’s best to keep everything squared away so that they have no idea what kind of sliding glass door lock they will be up against. If you are a homeowner, you probably know that privacy has a big impact on your security. As such, you should strive to ensure that your sliding glass doors do not infringe upon your security in any way. This is where shutters and sliding glass door shades come into play and they help secure your sliding glass door lock in a huge way. Although the use of blinds and shades might not discourage burglars from choosing your home as a target, it will make it more difficult for them to see which security measures they have to account for. Sliding glass door locks may be subtle in the grand scheme of home security, but they are not less important. I hope that the active and passive cost-effective security measures discussed above help you build great layers of security around your sliding glass door locks. Increasing the security of your sliding glass door locks will help you actively combat whatever a burglar might throw at it. Keep in mind that being proactive with your sliding door lock maintenance and upkeep will also help keep your locks functioning at optimal levels. Please feel free to leave a comment below, if there are other cost-effective measures you have tried in your home.